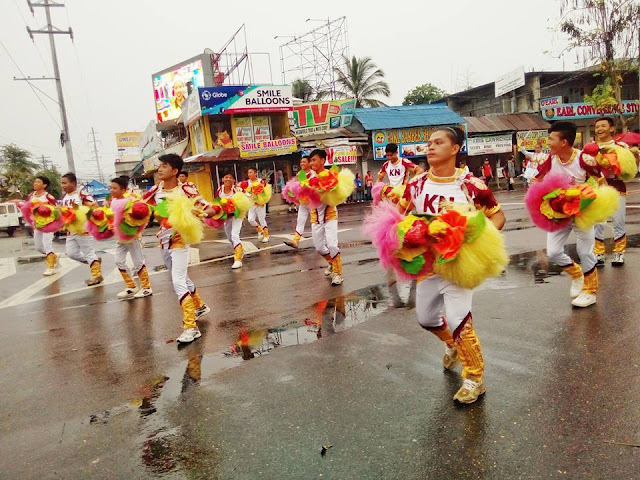 Koronadal National Comprehensive High School (KNCHS) emerged champion in the recently concluded Drumline Competition of this year's Hinugyaw Festival held at the South Cotabato Sports Complex yesterday, January 5, 2017. KNCHS bested four (4) other contingents coming from different parts of South Cotabato and bagged the P90,000 cash prize and a trophy. Last year's winning group - Alah Valley Academy from the Municipality of Surallah settled as 1st Runner-up this year with a cash prize of P65,000 and a trophy, while Esperanza National High School and Christian School of Polomolok were declared 2nd Runner-up and 3rd Runner-up respectively. The contingent from KNCHS- Annex in Brgy. Paraiso received a consolation prize.